“The Route to Human Right” is a concept and a project created by International Solidarity for Human Rights. The Routes to Human Rights will consist of concrete artistic places dedicated to each one of the articles of the Universal Declaration of Human Rights. These places will provide educational insights on issues related to the positive promotion of the Universal Declaration of Human Rights. The Routes to Human Rights worldwide will consist of artistic routes with 30 places or stops, with 30 works of arts or 30 symbols representing each one of the articles of the Universal Declaration of Human Rights. 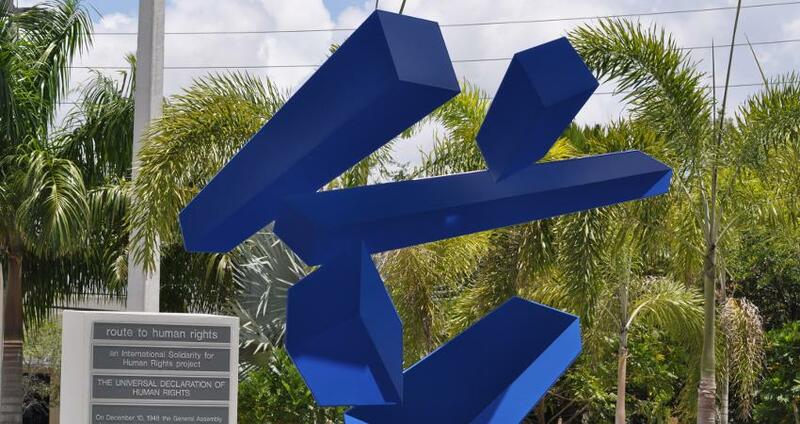 Three (3) Human Rights Plazas has been built by International Solidarity for Human Rights with the collaboration and effort of artists, individual contributions, private sector, local government contributions and the invaluable support of Miami Dade College. The entire project will comprise the Construction of A Human Rights Pavilion. 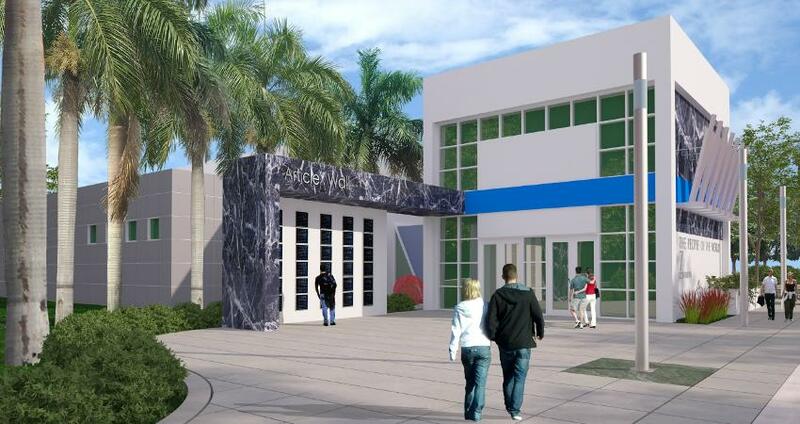 The first Route to Human Rights is an ongoing project that is being installed throughout (8) eight campuses and premises of Miami Dade College in Florida. 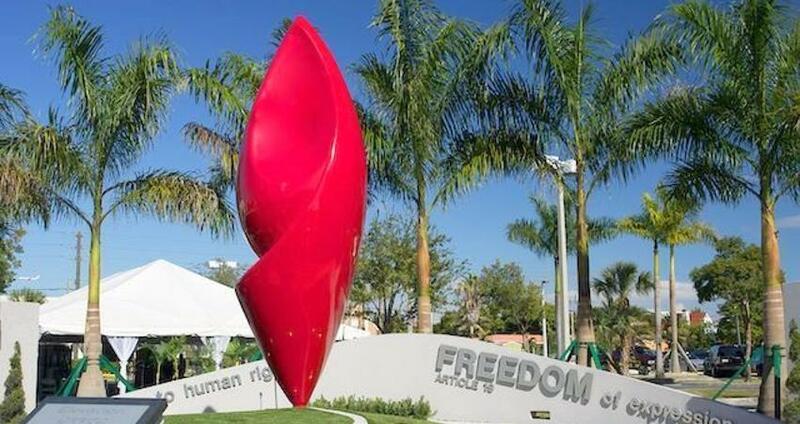 This first work of Art is the first Human Rights Plaza in “The Route to Human Rights in Miami Dade College”. It is a 20″ Sculpture representing Art 19. “Freedom of opinion and expression”. It is an outdoor permanent exhibition at InterAmerican Campus Miami Dade College on the corner of SW 7th Street and 27th Avenue. Architecture by Frank Costoya Jr. 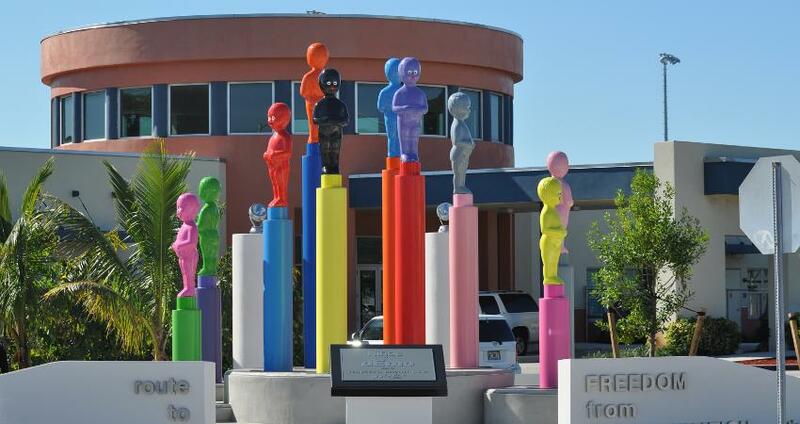 The Route to Human Rights Plaza at Miami Dade College North Campus is the 2nd Human Rights Plaza and it represents Article 2: “The right to freedom from discrimination.” It is a permanent exhibition located at 627 SW 27th Ave, Miami, FL 33135.
International Solidarity for Human Rights’ “The Route to Human Rights at MDC” invited International artist Jorge Dager to the represent one article of the UDHR. The painting is a representation of Art 1. “We are all born free and equal”. It will be one of the paintings in the collection of 22 paintings (in total) that will be placed in a Human Rights Pavilion. A big format painting. 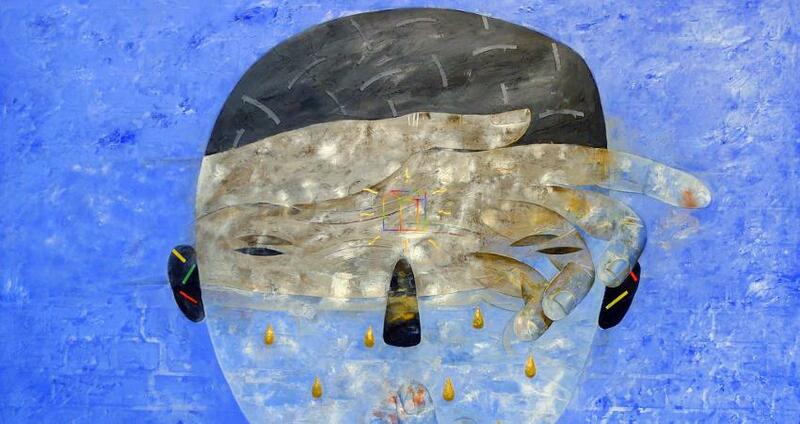 International Solidarity for Human Rights’ project “The Route to Human Rights at MDC” invited Spanish artist to recreate Art. 18 of the UDHR “Freedom of Religion”. 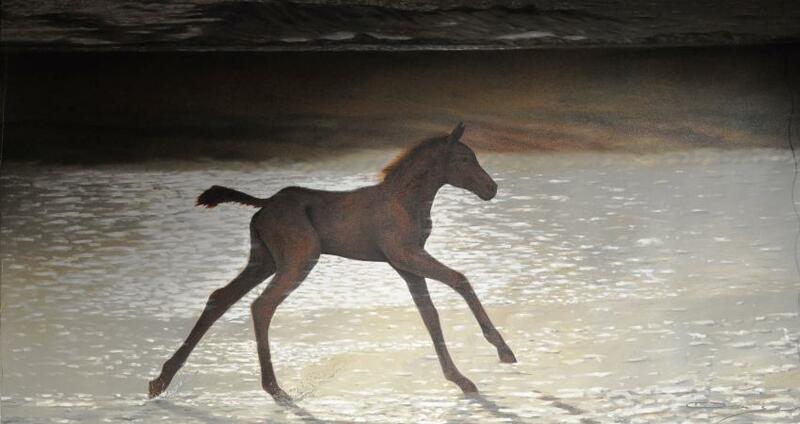 It is a magnificent painting. This representation of the freedom of religion will integrate the collection of 22 paintings in total that will be part of the collection of 22 paintings in the Human Rights Pavilion. International Solidarity for Human Rights and Miami Dade College unveiled the 3rd Human Rights Plaza. Art 13. “Freedom of Movement” at Miami Dade College West Campus” 11380 NW 27th Ave . Doral, Florida.